It is raining in the TED Theatre. The downpour has been summoned by the QTribe, a band of Lagos-based performers and rebels with a cause. 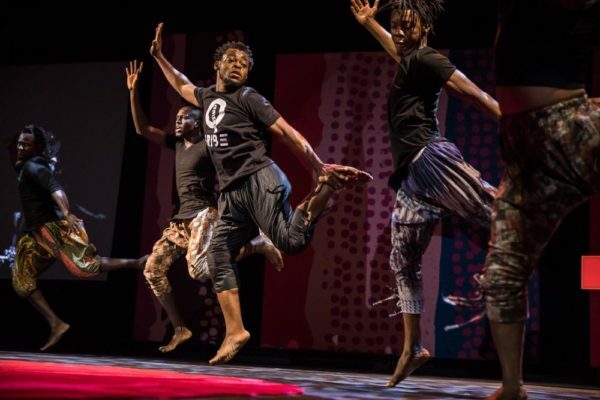 The QTribe is the heartbeat of Nigeria’s preeminent dance focused creative organization: QDance Center, founded in 2014 by internationally acclaimed choreographer, Qudus Onikeku. 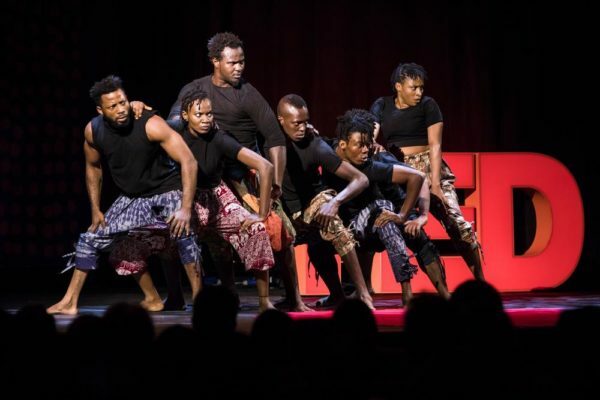 The QTribe has received global praise for touring, staging productions that explore urgent socio-economic, cultural topics that vary from the deeply personal to the sprawling political and everything in between. 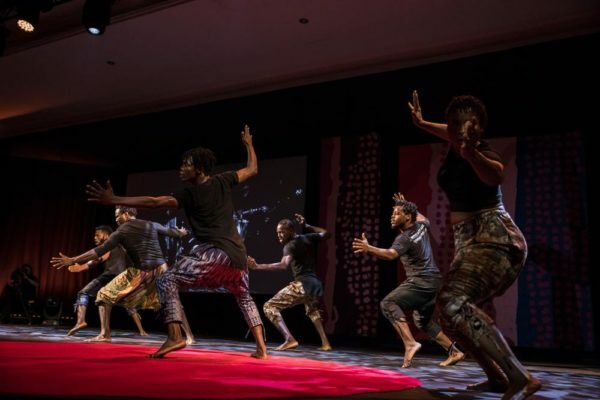 For their opening performance piece at TED Global – held in Arusha, Tanzania – they stayed true to form. 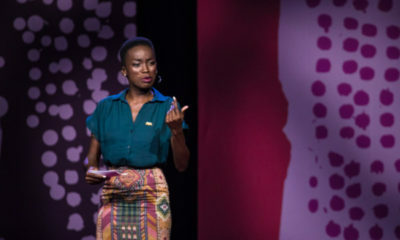 The piece is about a band of misfits, rebels and nomads, not all from the same creed or nation, but who collectively build one unique tribe of like-minded individuals who want to be catalysts for change – quite like the TED community. As drought encompasses their lands and communities, the tribe seeks to bring back the water with their bodies and souls. They go wherever there hasn’t been rain, and shake things up with their music, songs and dances until the rain pours. The performance starts off on cymbals and builds from there. The Tribe is accompanied digitally by a supporting cast of a lead singer, drummer and guitarists playing on a screen cast onto the wall overheard. As the symphony of song, drum and strings build up, the QTribe bursts onto the stage. Soon it is pouring energy, pain, passion, bodies, screams, guitar strums on the stage, all at once. The dancers consume the stage in its entirety, in fits, in bursts. One dancer surrounded by his tribe back flips in quick, dizzying succession – spins, more like. Lead dancer and creative director, Qudus Onikeku leaps and levitates higher and longer in the air than averagely possible. The Tribe moves in circles, in shapes, in unison, with not a stretch of the arm, move of their feet out of place with others. By now, the theatre is flooded. The piece is at once a lesson in and a celebration of diversity, inclusivity; visual, literally moving evidence of what can happen when we accommodate and transcend our differences. On stage dancing is what the QTribe calls differently-abled individuals. You might – before reading this at least – call them ‘disabled’. There are deaf dancers who don’t hear music. There are dancers with physical ailments that would suggest they can’t move their legs. In other lives, QTribe members are power lifters, basketballers, designers, educators. 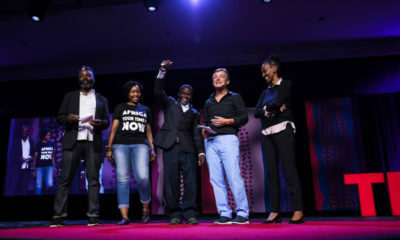 On stage, they meld these qualities or challenges – depending on who you ask – to create, campaign for change: be it socially conscious or politically consequential. This is the new map for the creative arts in Africa. 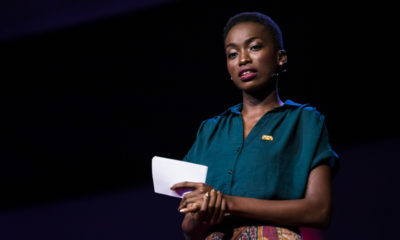 This is the future TED GLOBAL is seeking to predict with this conference that has gathered thinkers, innovators, pioneers, shapers. The creative arts need not only be a conscience for society per what it is doing wrong or not enough of. It can also be an example, a guide to the direction it needs to go. The QTribe’s ‘Rainmakers’ was a downpour of new ideas. The tribe is not alone. It brought other guests present to the realization that they are all rain makers in their respective fields: in media, business, technology, innovation, activism and more. By being present, by doing the work they do, they shake things up, they bring change, water, where there has been a lack. Soon after the QTribe received a standing ovation for their performance, the reference to water went beyond metaphor. Ayodeji Rotinwa is a writer with a keen interest in documenting, reviewing and critiquing the arts / (pop) culture of our time. He also comments on how technology and business play into these fields. He is a columnist, the lead features writer at THISDAY Style (Newspapers) and a contributor to Forbes Africa magazine.